Prolotherapy-For people, who have been in constant suffering of chronic knee or a joint pain; stem cells therapy has proven to be a life changer, transforming their dream of living pain free life into a reality. 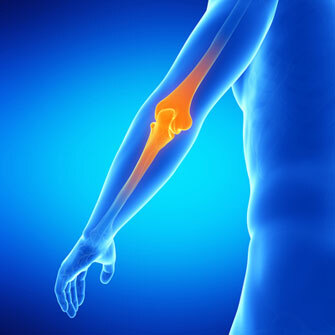 As a matter of fact, many arthritic victims all over the world have acknowledged it to be a risk free, pain free, safe and minimally invasive alternative to the conventional pool of dangerous treatments, such as surgery and/or steroidal drugs. The medical fraternity indeed is as well, endorsing it to be beneficial for people suffering from all sorts of musculoskeletal disorders, such as but not limited to arthritis, tendonitis, sports injury, ligament tear and/or previous surgery failures. Orthopedics have emphasized on the fact that day to day, they come across many arthritis troubled patients, who have kept themselves just alive by indulging into ibuprofen several times a day! They further also admit that the only notion, they could sense from this act is to avoid painful surgery, risk of other opportunistic infection and longer recovery period. The reason is strong enough for these medicos to offer regenerative or bio-restorative medicines as the effective stem cells warriors, who have had enough backend research to support! Although, they have so far maintained their low key attitude about it, by being careful not to over promise about the outcome; but the fact is that in the past few years Prolotherapy has definitely taken a higher profile in the field of orthopedics and sports medicine. As hopeful as it sounds, stem cells are the primary seed cells that have been apparent immediately after the zygote is being formed. Since then, these cells divide and multiply several times to give rise to different vital organs of the human body. In reality, every tissue in each phase of development, maintains a fixed stock of these stem cells, which can be used in case of emergency. As though, the exploitation of stem cells for the normal wear and tear is on higher side for some busy organs like heart, liver, muscles, etc; some tissues like adipose tissue or fat can just act as stock keepers, by being one of the richest sources of stem cells. The bench side research has confirmed these stem cells to be highly adaptive and can be differentiated to multiple lineages, such as bone cells, cartilages, ligaments, etc. The upcoming bio-restorative therapy is supporting autologous enrichment of these stem cells with platelet rich plasma. Once stem cells stimulated with autologous PRP are infused into the local joints; PRP being the rich source of platelet can proactively promote the synthesis of seven different growth factors, which can initiate cascade of reactions for the precise regeneration of lost cells and restoration of function, back on track! Thus, in short if you are considering stem cells as the “seed”; platelet rich plasma can be referred to as a “fertilizer” to help the seed grow! Thus, the combinational approach of Prolotherapy has definitely burnt the bridges between effective outcome and less invasive, more natural alternative to surgery. But off course, for the failures to be anecdotal; much more research and more data should be in place, which can substantiate the treatment as a routine practice.